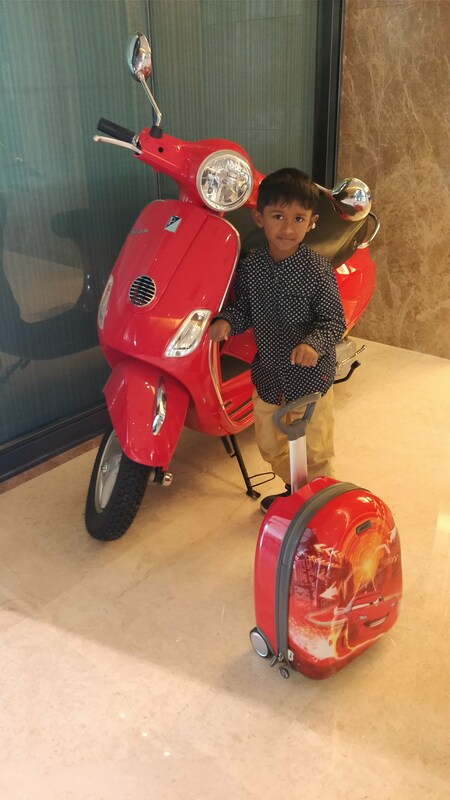 The Bengaluru Marriott Hotel Whitefield is conveniently located in the popular Whitefield neighborhood in the heart of the new Bengaluru. 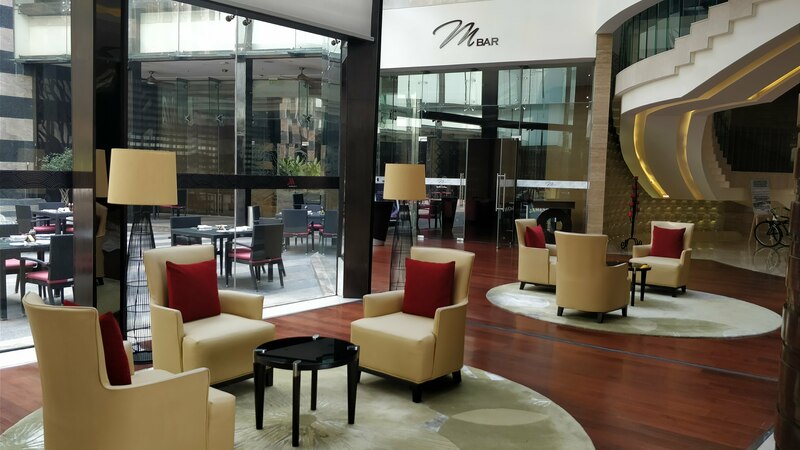 Marriott is meant for today’s commuter who is looking for an honest and uncomplicated hotel experience with a particular focus on productivity. Incredible Rooms and Amenities of Marriott! 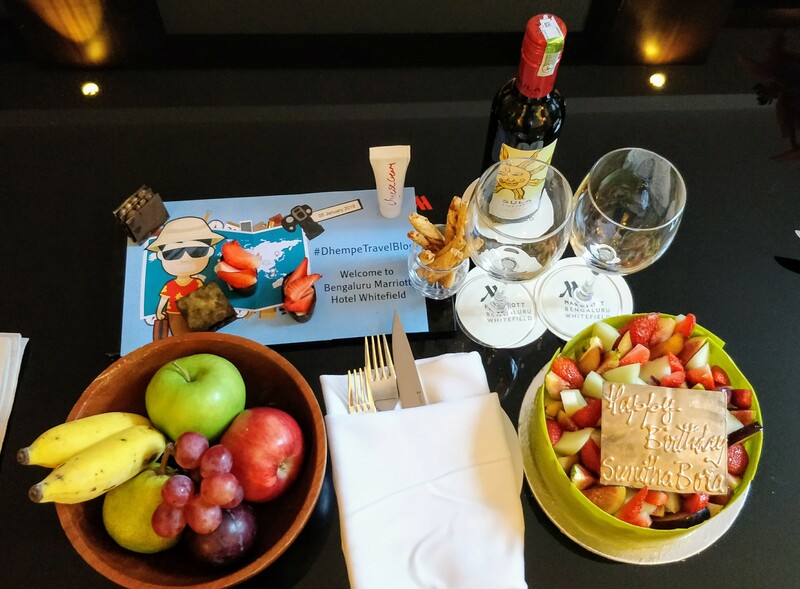 When I checked in, the staff greeted me with my name and warmly welcomed me. When I went to my room upon arrival, I found a welcome note waiting for me in the room. It’s a beautiful gesture from the team. My room was modern, very clean and well maintained, the service was extremely polite and attentive. The rooms feature carpeted floors, luxury headboards, air conditioning, a flat-screen satellite TV and an electric kettle. 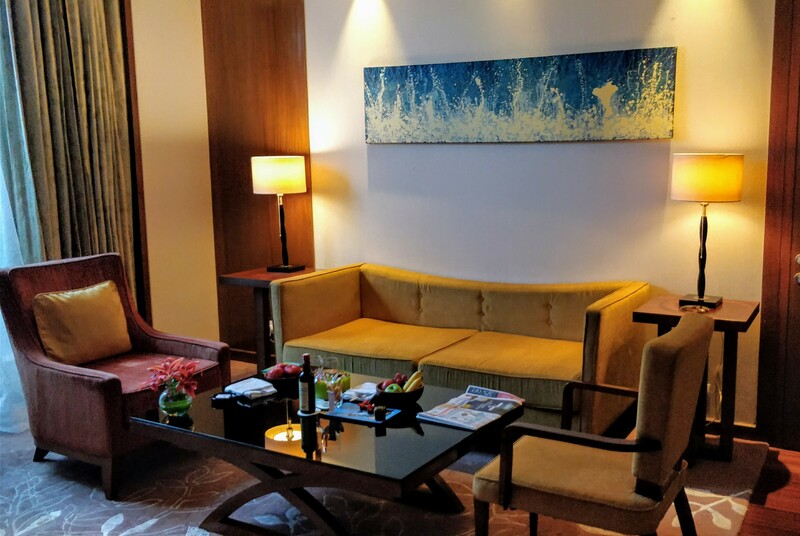 You will have a free wired Internet connection and free Wi-Fi, an iPod docking station and cable TV for your leisure time. The ensuite bathroom with a separate bathtub and shower has a deep soaking bathtub and a rainfall shower head. 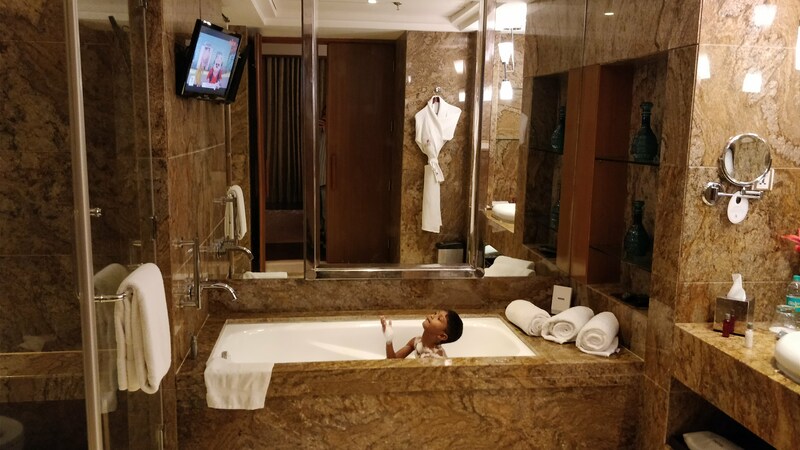 Reyansh loved chilling in the bathtub. Conveniences include a safe and a desk, as well as a maid service available daily. Thanks to housekeeping team for making my room comfort and excellence. For a relaxing like no other, nothing like a visit to the spa, which offers body treatments. The spa is an exceptional place to relax and unwind. I also tried the spa, and it was perfect! The spa is excellent – you can use the hot tub, steam, and sauna at any time. I had a massage, and it was a handsome price and high quality. 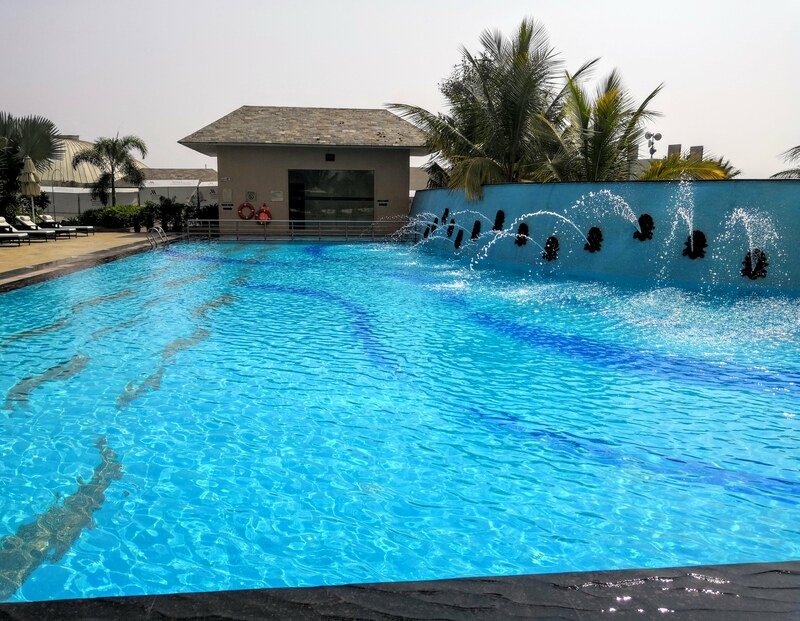 If you want to have fun, here is an outdoor pool and gym, among many other facilities. The hotel offers 24-hour reception, newspapers, ATM, tour desk, currency exchange service, and concierge service. It also has car rental service, laundry, and dry cleaning. The fitness and spa facilities were top notch, with personal trainers available. Dining – I credit Marriott for its high standard, as always. The service and the food were exceptional. Enjoy a meal in one of the 3 restaurants at this hotel or take advantage of 24-hour room service. Douse your thirst with your preferred drink in the bar or lounge. 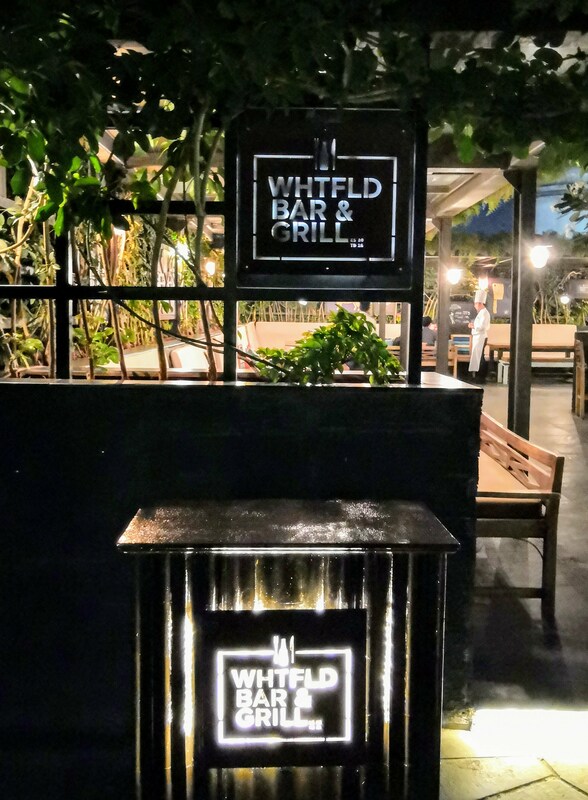 One of the best is Whtfld Bar & Grill. 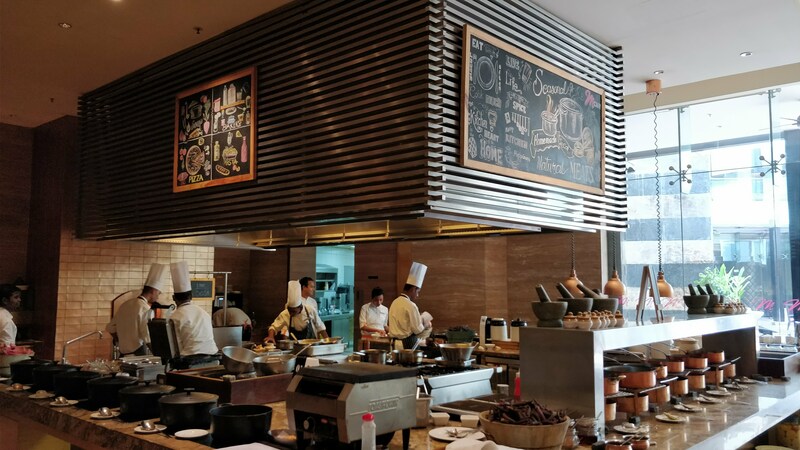 The M Café serves international dishes, and the Alto Vino restaurant serves Italian cuisine. Cocktails and other drinks are offered at the M Bar. The Whitefield Baking Company makes bread, cakes, quiches, cakes and delicious smoothies. Lunch, dinner, and breakfast had enough variety to keep my taste buds delighted. You will have high-speed Internet access via cable (free), fast check-in and fast check-out at your disposal. Are you organizing an event in Bengaluru? In this hotel, you have at your disposal 995 square meters of space with a conference center and meeting rooms. Paying a small supplement, you can take advantage of services such as shuttle service to the airport (round trip) (on request) and parking with free assistance. 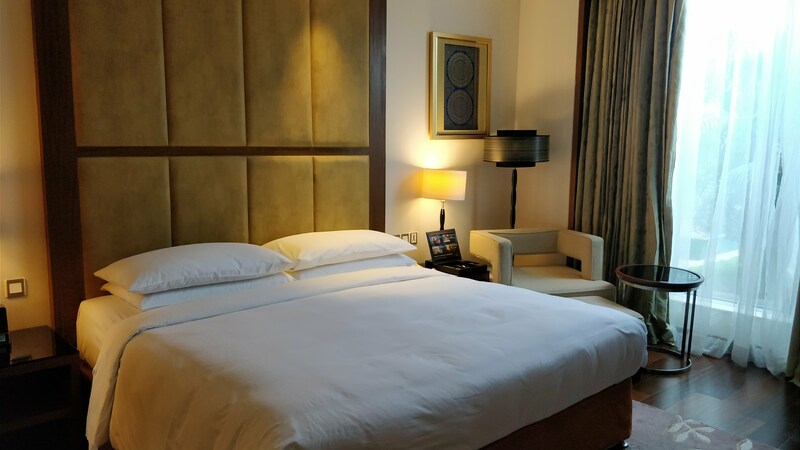 Enjoy the hotel’s recreational facilities, including fitness hub, outdoor pool, spa, massage, pool (kids), before leaving your room for a well-deserved rest. 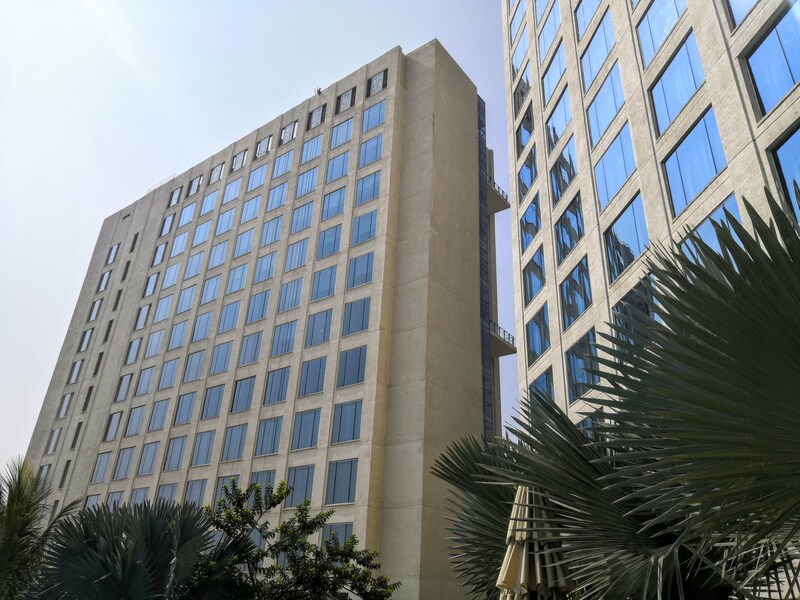 Whatever your reason for visiting Bangalore, the Whitefield Marriott Bengaluru Hotel is the perfect venue for an exhilarating and exciting breakaway. The staff strives for everything to be liked and for delighting customers with the best service and unbeatable quality! 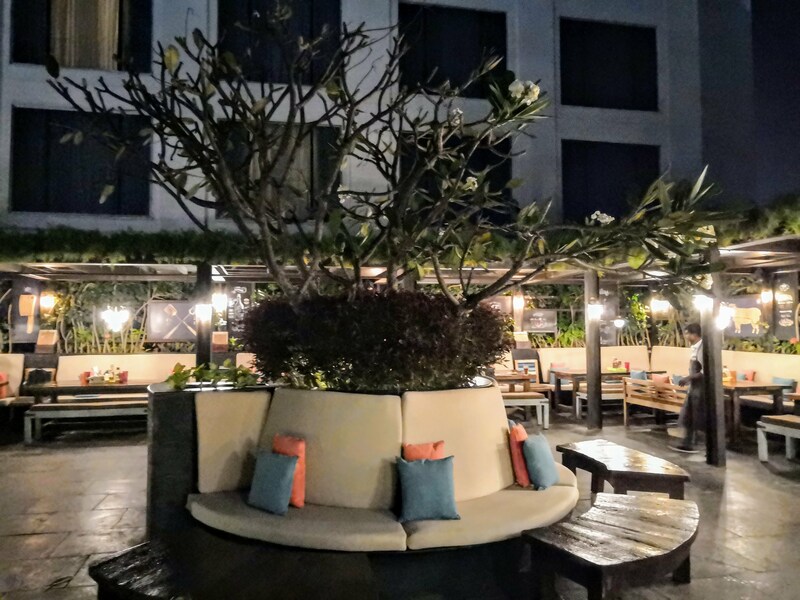 Whitefield is an excellent choice for travelers interested in doing business, cold weather, and nightlife. Thanks a lot to the Marriott team for your care and hospitality. I recommend everyone to stay and enjoy their food. I would highly recommend this hotel for business trips! I would love to visit this property again and again! Departing to Northern Bali, you can find stunning views of Mount Batur. Not far from the mountain, you can find Toya Devasya which provides natural hot water. Toya Devasya offers a place for you to swim and soak in the hot tub while enjoying the panoramic beauty of Batur Lake a little closer. Toya Devasya Hot Springs provides rinse and change rooms, towels and welcome drink for the visitors. Toya Devasya Natural Hot Springs has four natural hot spring pools and one pool of warm water the size of a swimming pool. Minerals contained in hot water is said to be able to provide healing, revitalize the body and rejuvenate your soul. Enjoying natural panorama and fresh mountain air while sitting or soaking in warm water will make you feel fresh and comfortable. In addition to restoring the freshness of the body, natural hot water is also beneficial for health and healing diseases. Such as itching, skin allergies, as reflex stiff muscles, and many other types of skin diseases. With Toya Devasya Natural Hot Spring you will have a different Bali holiday experience. Bali has several hot spring bath locations that become a tourist choice at the weekend. Not barely in the area of ​​Tabanan regency, but natural hot springs are also famous as in the vicinity of Kintamani, Lake Batur, and Bangli Regency. One of them is Toya Devasya Natural Hot Spring & Camping Resort. 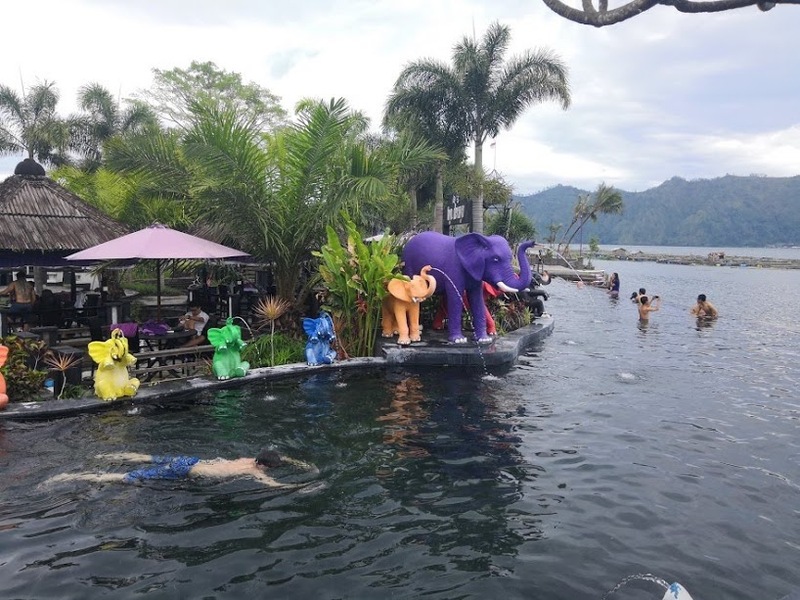 The most favorite is the hot water pool which is located right next to Lake Batur and facing Mount Abang. Toya Devasya Natural Hot Spring & Camping Resort, at Jalan Puri Bening (STA), Toya Bungkah, Kintamani, Kabupaten, Bangli Regency, Bali. Besides, to bathe and swim in hot water, you can also do various activities such as corporate/family gathering, cycling, team building, canoeing, and BBQ Dinner. In addition to a heated pool. Toya Devasya also provides a place for camping with tents. With the concept of open nature like this, this place can accommodate the visitors up to 5,000 people. 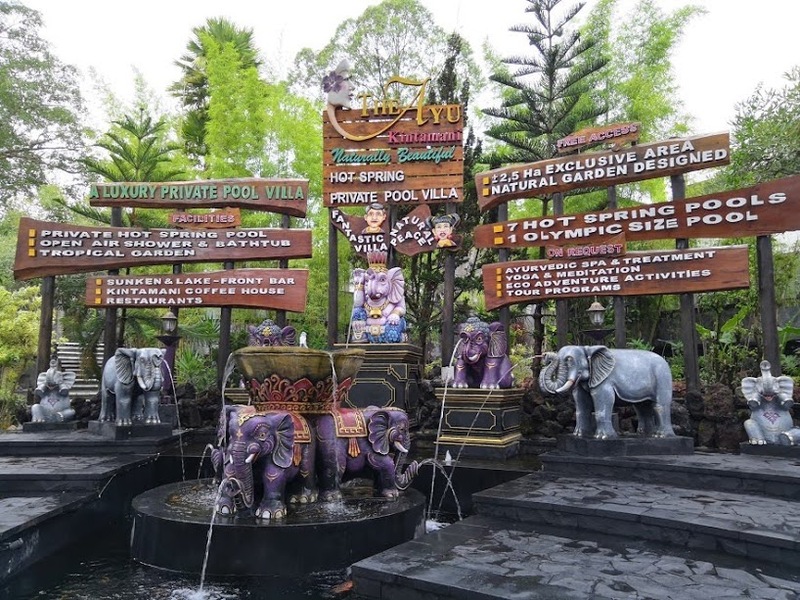 The hot water pool is located right next to the lake, and the mountain is the latest facility of Toya Devasya Natural Hot Spring & Camping Resort, which operated since a time ago. Because of the very precise position facing directly towards the natural scenery, it is no wonder if every day this bath is filled with about 200 visitors. The hot water used by Toya Devasya is a natural hot spring from the mountains directly, so the water is odorless and colorless. One thing that becomes a visitor’s habit is a selfie moment with a Background of the Hills. Tips for getting good shots is to use a waterproof smartphone protector or a selfie stick, so the phone is not wet exposed to water. 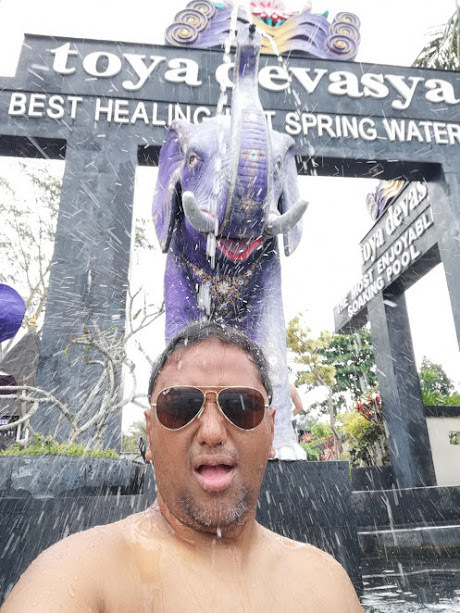 Natural hot water in Toya Devasya is excellent for health especially for visitors who have an illness such as influenza, sinusitis, stroke and other diseases. Hot water here is said to reduce and cure all kinds of diseases. 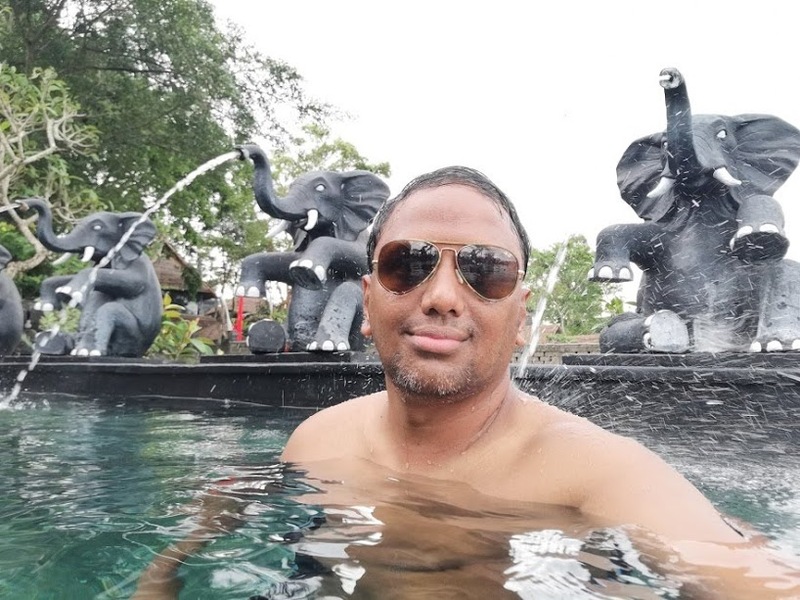 In Toya Devasya, we can find a shower of elephant statues and pipe that is formed so unique to rinse the body. The bath is open from 07.00 to 19.00 pm. Visitors can soak in the pool for a day while enjoying the natural scenery. 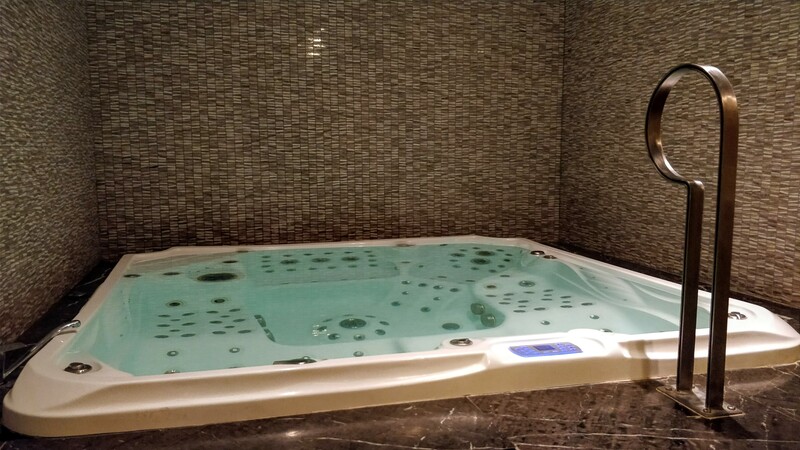 This destination is also equipped with a rinse room with warm water so that after you soak and rinse yourself can still feel the sensation of warm water immersion. Toya Devasya can be a natural tourist destination with family, colleagues, and friends to spend your weekend and holiday. 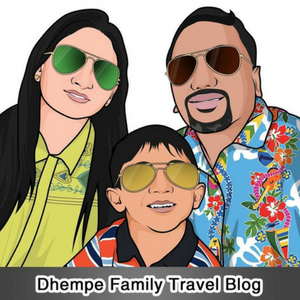 Dare to Dream, Dare Traveling, Be Adventurous!